Introducing the first exclusive fabric by BellaPamella! Now you can buy the yard to make all kinds of accessories to match your apron. Whip up a table cloth, napkins, curtains, or whatever your heart desires! This 100% cotton fabric is a generous 58" wide. 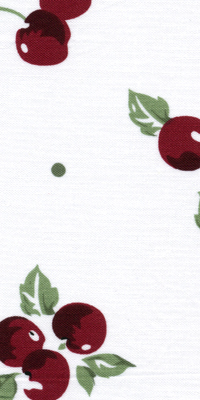 And the plump retro-style cherries and dots will steal your heart. 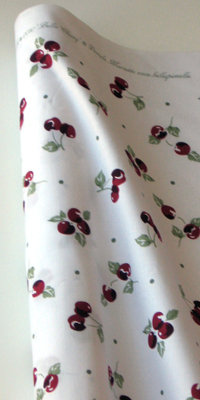 Fabric By The Yard in Bella Cherry. $14. per yard. (No Fractions).